It is very wise to recognize and know the spirit which we follow to insure that our children are being directed in the right direction. Satan is very clever in knowing how to deceive us when we lose sight of the steps that we take and we don’t take the time to know the message which is being delivered. For instance, Satan will sit back and allow us to go forward in worship because he knows what will take place when we get caught up in our emotions when we don’t have the spiritual wisdom and discernment to simply recognize what is right and what is wrong. This is where Satan often deceives us in the spirit because He wants us to think that we are following God when we could be leading to a division in the body of Christ. There is unity in the body and harmony in the spirit of God that teaches each of us in love to learn from one another and how to respect each parties function within the direction of God. There is nothing wrong with us enjoying the spiritual high of God but if we do not recognize the importance of staying in tune with God in our emotions then we are setting ourselves up for a hard fall. We learn this in the lesson of Joshua and the Israelites when they ran out in front of God in their emotions after conquering the city Jericho. It is vital for our youth and for every child of God to understand how to handle our emotional highs with our emotional lows that we face in this journey of life. Jesus Christ (NEVER) separated himself from the sinners nor the world and Paul supported the church that was first established by God with Moses as he lead the people out of captivity to reach the freedom that we receive in God’s promise. Jesus Christ and the apostle Paul addressed the people and the church not to bring division but to correct what was wrong by God in not properly following the Lord’s instruction. Division came because of Satan in the people for not humbling themselves to receive the Truth in the Word of God. Our Lord taught us how to walk in this world through Moses and the Israelites in order for us to maintain the freedom that has been given to each of us today in the spirit of God through Jesus Christ by having order and self discipline to keep our homes and our nations intact. The Lord plainly teaches us how to listen, when to move, how to run, how to respect, and even how to walk in order to maintain our balance in this life. For if we just jump out on a tight rope without knowing how to reach the other side when the winds of Satan come our way then we really need to take a step back to learn how to walk with God rather than trying to do it on our own. Life has good times and life has very hard times and if we don’t know how to walk on our own under God with the love of Jesus in our hearts then Satan is just waiting at the door to hold us down when we fall. It is very easy to speak out against what we see, but in true love that is directed by God we are to stand in faith while sharing the love of Jesus Christ. God shows us what is not right by others to help shape us into who He wants us to be. As we mature and learn to trust in God it is our duty to standfast in love within the winds of sin in this fallen world. It is when we take matters into our own hands that we cause divisions in our relationships to the point that they can cause anger and separation. As long as we know the steps that we take in the Word of God and know how to act in love when we face confrontation then we are on the way to understanding how to follow God rather than acting out in our emotions. Regarding the Ramp in Hamilton, Alabama there are good points as well as there are bad points which we can find in any church or in any human being. 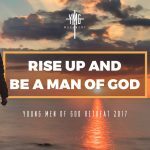 It is great to see our youth speaking of God rather than chasing the world and watching them be set free from their suppression of Satan who wants them to lose hope in this life. But the part which is raising a flag of concern is the gift of speaking in tongues due to the confusion that it is bringing in the body. Speaking in tongue is a gift from God that no man can give or is to teach to another. The dangers of this practice in public display comes when someone does not know how to stand on their own under God and wants to be accepted into a group to feel loved by the people instead of learning to receive the gift in faith. The Word of God teaches us in 1 Corinthians 14 about the gift of the Holy Spirit and we also learn the importance of decent and orderly worship. For there is a time to speak and a time not due to the confusion that it can bring upon the people. In reference to someone claiming to be chosen or to be a prophet this should be addressed with caution to insure that Jesus Christ is being properly edified and to insure that we lean on God rather than man. It is not our place to reveal something to someone but we are to lead by example and allow the Holy Spirit to give the confirmation rather than trying to reveal something for our own glorification. There is a big difference between being called and actually being chosen and many people have misled the people with this misunderstanding in the word of God.